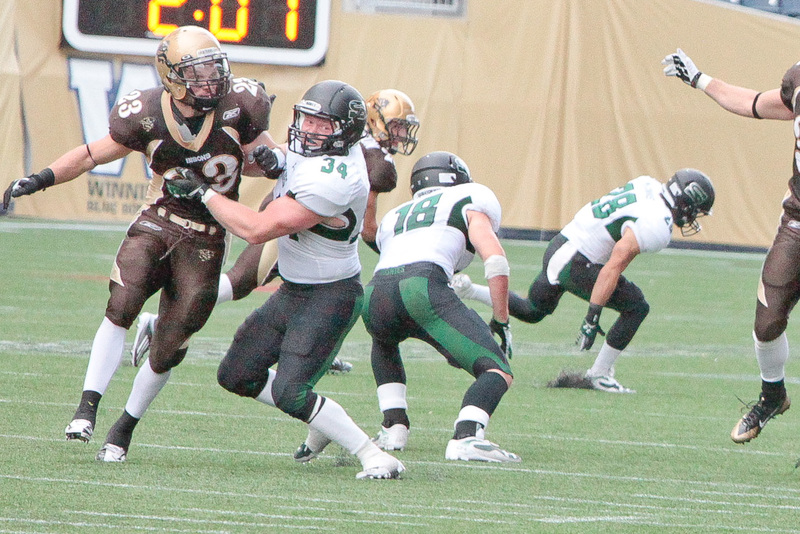 Sept. 1, 2014 will forever be a memorable date for Derek Dufault. 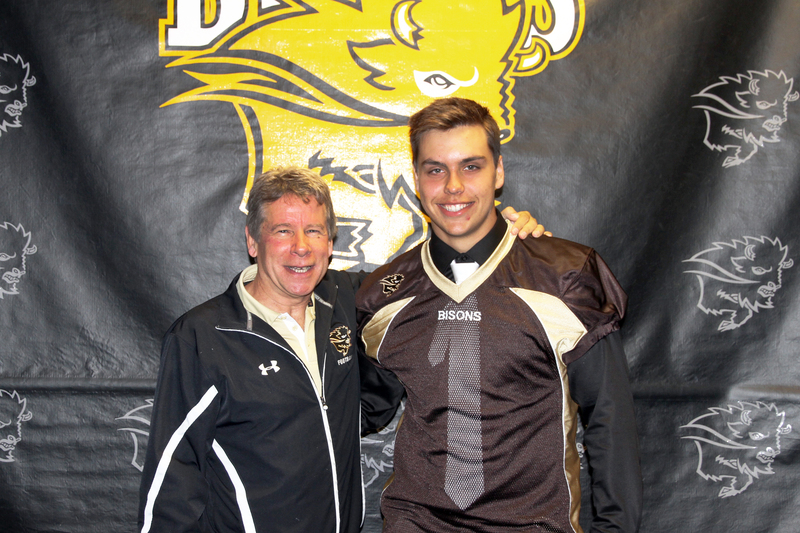 It was on this day that the 16-year-old defensive end took the next step in his football career, verbally committing to play for the University of Manitoba. Eight days later, he signed his letter of intent, becoming the youngest player ever to commit to playing with the Bison football team. According to Dufault, there were a number of factors that aided in his decision to commit so early. According to Dufault, there were 10 or 11 universities actively recruiting him, but only two others (McMaster and UBC) that he thought long and hard about. Looking at Dufault’s current football resume, it’s not difficult to figure out why so many schools wanted his talents. Last season, the 6’2”, 227-pound product from Dakota Collegiate led the John Potter (AAA) Division with 10 sacks, 32 tackles, two forced fumbles, one safety, and a blocked punt. 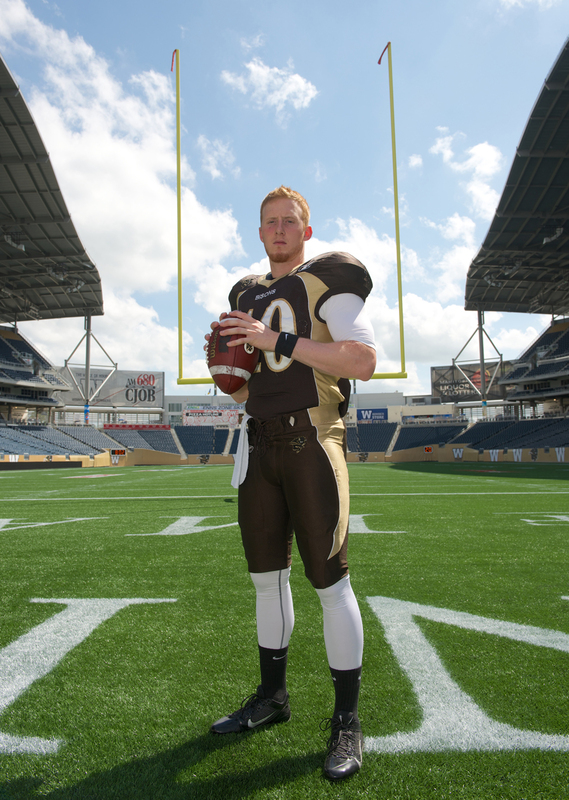 Dufault was also a defensive captain for Team Manitoba at the U18 Football Canada Cup this past summer, and was named an all-star at the U16 Red River Cup in 2012. 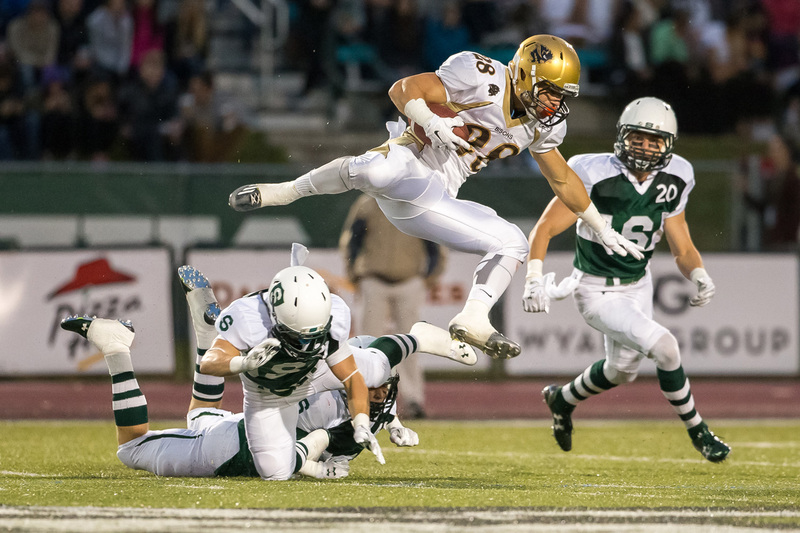 His performance earned him a spot on the Canada Football Chat Top 100 list for 2015, as he still has one more season of high school football remaining. The 16-year-old said he has been playing football since he was eight years old, and started thinking about playing post-secondary in grade nine, when he began getting attention from scouts. 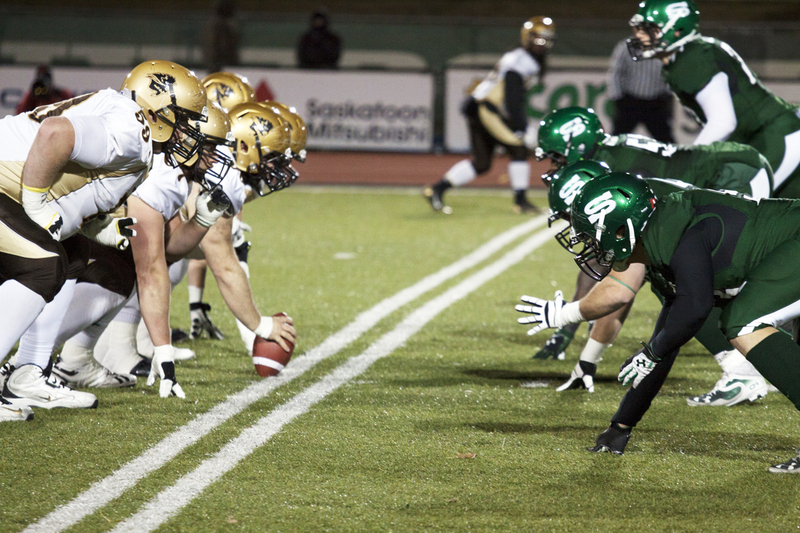 That attention only increased as the years went along, including from Manitoba, and head coach Brian Dobie. Dufault described the decision-making process, emphasizing Dobie’s persistence. Dobie also touched on the ongoing process of recruiting a young player like Dufault. “There’s a lot put into it, there’s a number of visits,” said Dobie. “Positional coaches meeting with him, our defensive co-ordinator Stan Pierre had meetings with him [ . . . ] We’ve signed one of the best defensive ends in the nation, it affects the rest of my recruiting in that positional area. Knowing how many teams wanted Dufault made his commitment that much more rewarding to Dobie. The defensive end said that there was a certain amount of hesitation at first when trying to make his decision. He had even considered playing junior football for a year after high school in order to increase his speed and size, but was convinced otherwise. “It’s pretty stressful, of course,” Dufault said. “University is where you’re going to spend the next six years of your life so you’ve got to make sure you know where you want to go. 1 Comment on "Derek Dufault: A call to the herd"